Yesterday, President Obama signed an order barring federal contractors from retaliating against workers who discuss their pay rates with one another, the latest in a string of executive orders aimed at improving working conditions at companies that do business with the government. President Obama will also order federal contractors to report race- and gender-based compensation data, and has ordered the minimum wage for these contractors hiked to $10.10 an hour. But these moves apply only to workers in the United States, suggesting the Obama administration seeks to take a narrow approach to a globalized problem. The federal government, according to a recent investigation by The New York Times, spends over $1.5 billion a year on clothing from factories in countries like Bangladesh, where over 1,200 garment industry workers have died at their jobs over the past eighteen months. In Vietnam, Haiti, Bangladesh, Mexico, Pakistan and Mexico garment workers sewing clothing for the American government earn salaries so low that even the pope described it as “slave labor.” Some of the factories that outfit federal workers were found to be employing children as young as 15. Managers at other American suppliers were coaching workers on how to dupe auditors. Workers were beaten with sticks. Some soiled themselves because they were forbidden from taking bathroom breaks. Globalization has made it difficult to escape sweatshop labor. Consumers—be they Walmart shoppers buying a $20 pair of jeans or government agencies contracting for $50 million in uniforms—rarely know the exact location or working conditions of the factories that make their clothes. The garment industry is a layered web of contractors and subcontractors. Companies routinely decamp from one country to the next, prowling for cheaper labor. Federal agencies have a fiduciary obligation to taxpayers to get the best bargain. And yet, taxpayers also expect their money will not underwrite scofflaws who abuse workers. A handful of cities and states have found a way around this problem. 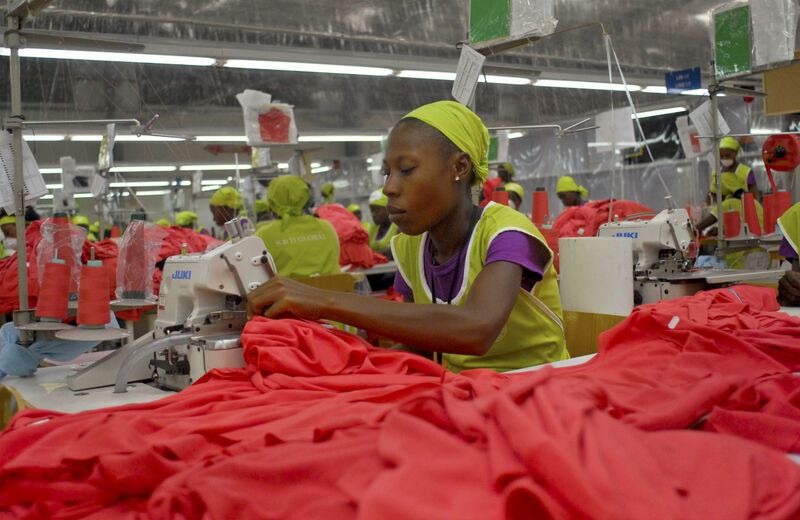 At least five states and more than twenty cities require companies, as a precondition to bidding on contracts, to reveal the addresses of the factory where these uniforms and other clothes will be made. This allows labor advocates and human rights groups to conduct independent investigations of conditions at these plants. Some of these policies have had good effect. In 2007, for instance, the City of Los Angeles, which has such a requirement, asked the Worker Rights Consortium (WRC) to audit a foreign factory that was making uniforms for city workers. The auditors found various labor violations at the factory, New Wide Garment, in Cambodia, which enabled the city to pressure the company to improve. Within months the factory managers stopped restricting workers’ access to toilets, and they began paying workers legally required sick leave. Factory managers also instituted a policy to stop verbal harassment and abuse by managers, and they wrote rules granting more protections for pregnant workers. The city also forced the factory to rehire a union organizer who had been forced to resign, restoring her to her previous position with back-pay and no loss of seniority. Maine leads the way among the states that have rules meant to ensure that the uniforms worn by public workers are not made in sweatshops. State officials require garment companies to reveal which factories make the uniforms and then post this information online. Maine also forces the clothing companies to pay fees to partially fund factory inspections. Still, labor groups say that even in cities and states like Los Angeles and Maine, which have progressive policies, it’s difficult to ensure that public money is not going toward overseas sweatshops. In 2012, for instance, the WRC investigated I.T.I.C. Apparel in the Dominican Republic’s San Pedro de Macorís free trade zone, which was a supplier of work shirts and work pants to the city of San Francisco. Investigators found sexual and verbal harassment by top management and supervisors, underpayment of wages, occupational safety violations and other problems. Neither the city’s contractor, which hired the factory, nor the factory itself responded constructively, labor advocates say. San Francisco eventually had to find a new supplier. Scaling these state and city anti-sweatshop measures up to the federal level will not be easy. A lot more money is at stake. Cities and states typically order millions of dollars worth of clothes whereas the federal government buys a billion worth each year. Expect the pushback from industry to be much stronger. The Obama administration has been a staunch supporter of free trade. Rules limiting where federal agencies can buy clothes may run afoul of trade goals and can cause diplomatic friction. Federal agencies themselves may also resist any new rules that add cost or complication to their purchasing process. Case in point: officials from the Defense Department’s military exchanges, which sell goods to soldiers and their families on US military bases, helped kill a measure last year designed to tighten safety rules at Bangladeshi factories. Even though these military exchange stores make $485 million from selling clothes on military bases, officials said the $500,000 the measure would add to their costs was too much. But Bjorn Claeson, executive director of the Sweatfree Purchasing Consortium, said these rules can work nationally. Federal agencies would need to coordinate more in their purchasing decisions, he said, and they would need to consider conducting joint investigations to ensure they are only using the best factories. “Sustained change requires large-scale collaboration,” he said. He pointed out for example that in May 2010 several states and cities banded together to try to increase their collective leverage and to share information. The result was the Sweatfree Purchasing Consortium, which now counts New York State;Seattle, Washington; and Austin, Texas, among its members. The group provides government officials with draft policies they can adopt. It also maintains an online database of information about the factories that cut and sew uniforms worn by public workers. For now, the Obama administration is remaining silent on what steps it plans to take to avoid more tax money being spent on uniforms made in illegal and abusive foreign factories. But pressure is mounting. The State Department hosted a roundtable in January to discuss ways to change procurement policy so that the American government stops accelerating the race to the bottom. Several lawmakers say they are working on bills to require that federal agencies reveal what factories make their clothes. And they’re pushing for faster action by the White House. Sharon KellySharon Kelly is an attorney based in Philadelphia. She has reported for The New York Times, National Wildlife, Earth Island Journal and a variety of other publications.